2. A single page press release detailing the speed records, cost, coachwork improvements, safety and available options. By 1956 the large four cylinder engine was due to be replaced when BMC decided to rationalise its engine range into the three types, the A-series of 850cc, B-series of 1,500cc and C-series of 2,600 cc. The C-series engine, displacing 2,639 cc. would power the Austin A90 and Wolseley 6/90 and was proposed as the replacement for use in the Austin-Healey. It was actually developed by Morris not Austin, whose engineers were disparaging about its performance compared to their own big four. To accommodate the bigger engine a bonnet scoop was added to clear the radiator which was now farther forward. 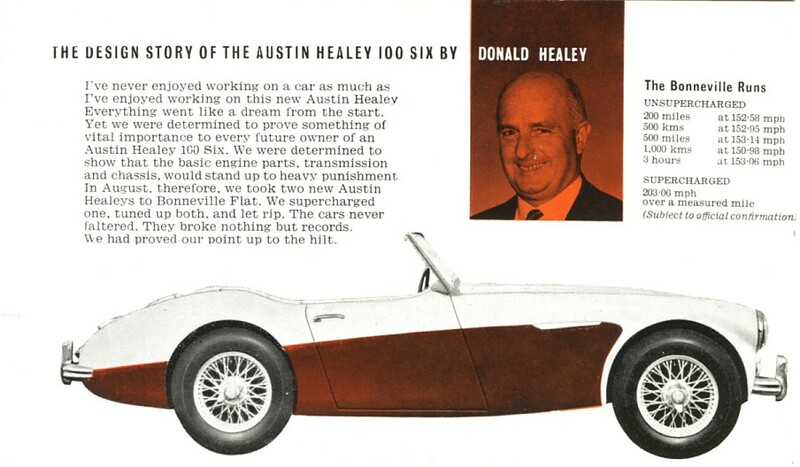 In addition, after pondering the marketing issues Donald Healey decided to add the two small jump seats in the back, in order to widen the car's appeal. This necessitated 2" being added to the chassis. It was painted in the most flattering of colour combinations.........the famous Healey Blue and Ivory White as run at Bonneville on the "Longnose" endurance car just prior to the launch of the 100-Six. The 100-Six was introduced in September 1956 as type BN4. 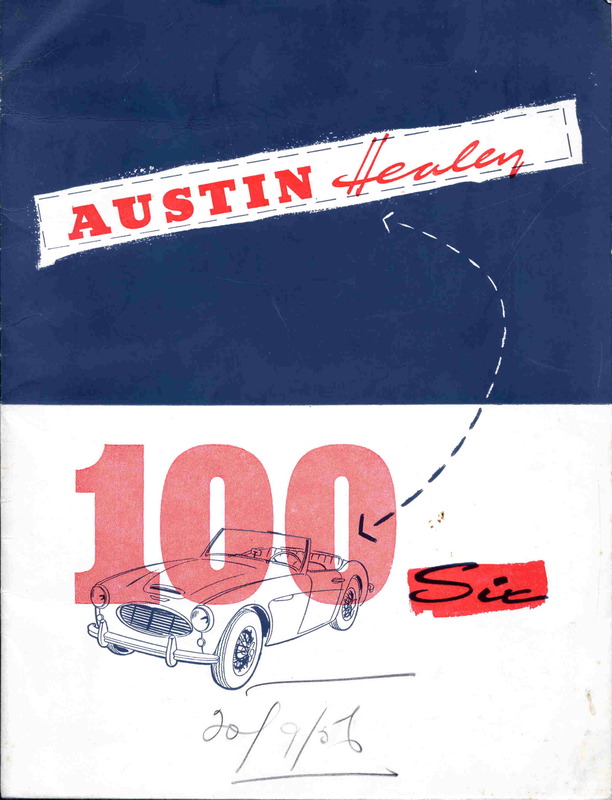 The launch was timed to coincide with new records set by Austin-Healey at Bonneville in cars driven by Carroll Shelby and Donald Healey. (see Records). 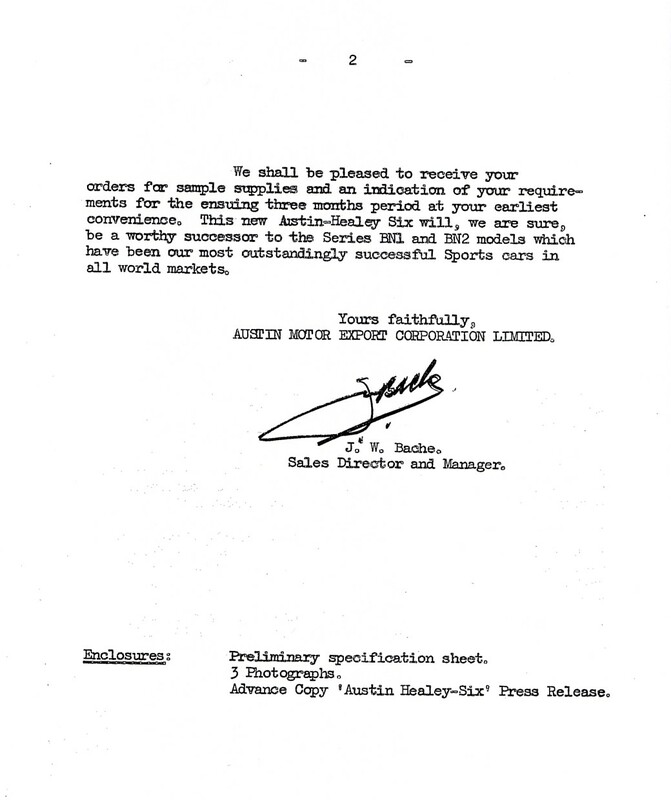 The letter below dated September 14th 1956 is written by J.W.Bache, the Sales Director and Manager of the Austin Motor Export Company. 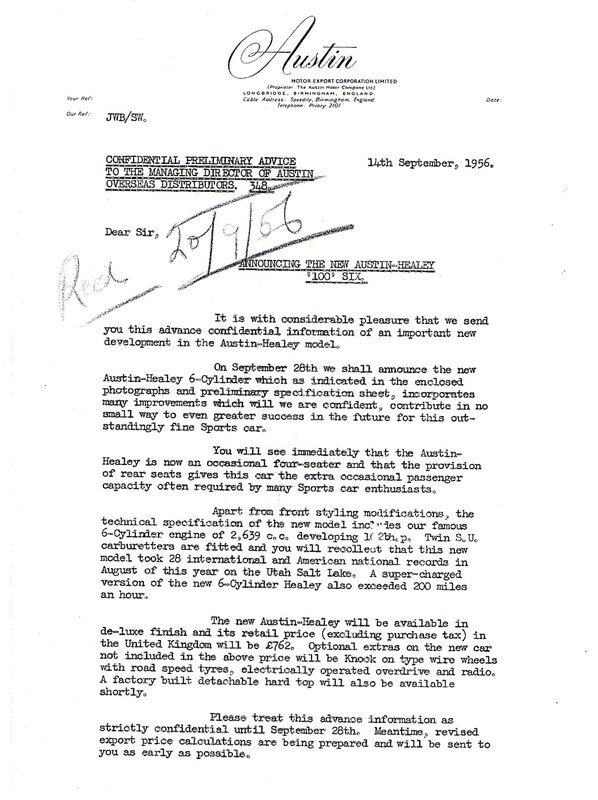 The letter states that the new Austin Healey six cylinder will be announced on September 28th 1956. 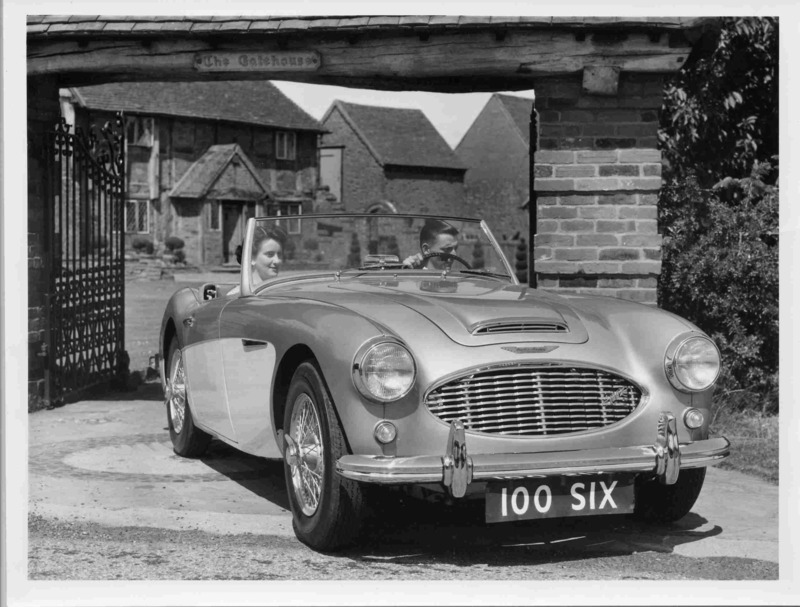 This photo is interesting because it shows the `correct` image of the car, which is a left hand drive model.